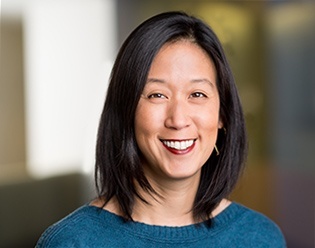 SAN FRANCISCO, CA (March 20, 2019) – Blue Shield of California Foundation announced today that Carolyn Wang Kong has been promoted to the position of chief program director to oversee the overall strategy, design, and management of the Foundation’s programs as well as strategic planning. Wang Kong joined the Foundation four years ago as a program officer, quickly rising to the position of senior program officer, and earlier this year she was named interim chief program director. The chief program director is a key leadership position that reports to the CEO. During her time at the Foundation, Wang Kong has taken on some of the highest profile work, including managing our relationship with the Center for Care Innovations and the Foundation’s involvement with the California Accountable Communities for Health Initiative. In these roles, she has supported the Foundation’s grantmaking and program efforts to advance multi-sector collaboration as an approach to addressing the complex drivers of poor health and domestic violence in California communities. She also launched and continues to lead the Foundation’s Act Now work, protecting policies, and programs to support vulnerable populations in California. “I believe deeply in our Foundation’s mission, and I am honored to lead our program team and collaborate with communities to develop programs that spark new ideas and inspire approaches to make California healthy and safe for all its residents,” Wang Kong said. Carolyn holds a master’s in public health and public policy from UC Berkeley and a Bachelor of Science from UCLA. She is also an alumna of the Coro Fellows program in Public Affairs. NCG Member O2 Initiatives has announced the latest recipients of their O2 Sabbatical Award. The O2 Sabbatical Award honors extraordinary San Francisco Bay Area leaders by providing them with a much-needed break for personal and professional reinvigoration.